It has been a time, has it not? Even as there is no time. For you lodged in your time and space, time is ‘of the essence’ as many of you would say. Yet we know that this time you give so much of yourselves to is little more than an idea. A deeply-imbedded one that has expanded to control, at your behest much of your living and activities. Time is on the fly, or perhaps it is you through your time and space that is ‘on the fly’. For time certainly seems highly accelerated to many of you currently. You could say that time is speeding up to re-enter its original state of ‘no-time’. However, it is for you to make the necessary adjustments within as to how you will choose and are choosing to relate to this concept. You are all aware that you are in this time and space for good reason. Yet, because you have limited perception you cannot see further down the timeline to understand your lives in the greater context. Yes, also for good reason. And always for and in your best and highest interests. Yet this leaves you in somewhat of a quandary. So what to do in the meanwhile? Absolutely nothing. That is, nothing except to refocus your being-ness. What do I mean by that? Focus your every activity [whether passive or active] on your heartbeat. That’s right – the beating of your heart. Do this until your breath begins to get involved as a matter of course. When this becomes second nature and as a conscious exercise you are in the flow of True life; rather than the life you have attached meaning to, which is usually externally-dependant. You may be asking how on earth this could change your life and your perception of it. And my answer would be: in every way imaginable. When you are out of man-made time, you have a different reference point. Your heartbeat and your breath are the means through which you may change tack here, so to speak. For they are the very rhythm of your soul. Making this exercise a priority in all you are, do and be is to give over very gently to your soul; your higher aspect or HS. In this new or original state you could say noticing and therefore taking guidance from within comes far more easily to you. For you are here on earth, but simultaneously anchored in your heart, your breath and thus, closer to your True Self. Focusing on your heart and breath may well take some getting used to, like all new habits. And you might find resistance at the start or you may feel like abandoning your exercise. For it will require you effort. But, like learning how to ride a bicycle, there will come a turning/tipping point with consistent practise when your attention becomes more focused on your heartbeat, your heart and breath more than it isn’t. It is for you to decide whether doing this will be of benefit to you. But of course, you can’t really know until you have tried it. :-) As with all things. I’ve been privy in this lifetime to have some beautiful bestowals of grace. They’ve never lasted long – from a day to 2.5 months – but each has left an indelible mark on me. I only realise now, that whether ‘cloaked’ in joy, peace, silence or love, they’ve all been the varying flavours of Oneness disguised. Joy is a very high vibration. Someone I know who calls herself a joy practitioner says joy is the equivalent to love on a scale that measures vibration and is closest to God of all the e-motions. To me, joy and love are bedfellows. It was certainly how I felt during a couple of phases of experiencing it. During that phase I literally had to pinch myself every morning to see whether I was dreaming this exhilarating joy I was daily waking up to. But no, it was really ME/EM temporarily awakening to that greater reality we all are. Alas, that didn’t last, as a state of being. The joy was so intense, it almost screamed at me to do something with it; like create. It was as if there was a daily energetic buildup of this joy and I just had to empty my cup of it by spreading and sharing it with as many other humans as possible or I would go insane. Only after giving the energy would I feel relief, and so my inner cup could easily refill itself again, and again. It was almost unbearably intense from the moment I awoke until I went to sleep again that night. Next and perhaps a few months later, I awoke one morning with a powerful, almost thundering, presence of silence. 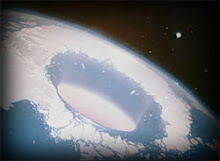 The pulsating waves from my chest and solar area felt so strong in their emanations into the world, that it felt like I could say merely utter the word ‘stop’ to someone doing/saying something destructive, and they would. I didn’t get the opportunity to test that. However, those few days were characterised by ‘power’, in a single word. During that phase I almost felt compelled not to speak. Being silent of speech during that period felt more comfortable even though I’m a pretty chatty person, in the main, who has no problems interacting with strangers. Then there was the ‘sparkly’ phase. As if some higher dimensional aspect of me had landed in my aura making me feel beautiful and lost in the flow of Oneness with God. And then all I could see around me was the beauty of God’s fragment alive in myself and everyone else. I was in a ‘flow of blessing and being blessed’ for want of a better description. Everyone and everything existed in this sea of beauty and Oneness and everyone was my sister or brother. I was there to serve-but in a boundaried fashion. Implementation of this came smoothly and easily for me, because I wasn't trying. I was just 'being'. Regardless of whether I was eating hot chips surrounded by homeless folk and alcoholics near a train station or moving through an upscale mall. There were a few other ‘flavours’ of states of being that probably lasted a few days each. I’ve given up trying to get an answer as to why these experiences were removed from me after a time. Or why I removed myself from them or even whether they were all only meant to be temporary ‘teasers’ to provide a reference point to my inner strivings. Or had some other unknown purpose. Now I merely acknowledge that I’ve been immensely blessed to experience each and every one of them. These were definitely the highlights of this lifetime; my most precious and treasured experiences. Each one of these phases happened involuntarily. That is, I wasn’t aware I opened to them nor aware of how and why I/GodEM stopped them when those moments ended –often abruptly. Was I dying to my ego (Easing God Out) a bit each time I had these conscious experiences? However, death of the ego – for most of us – is not instantaneous. 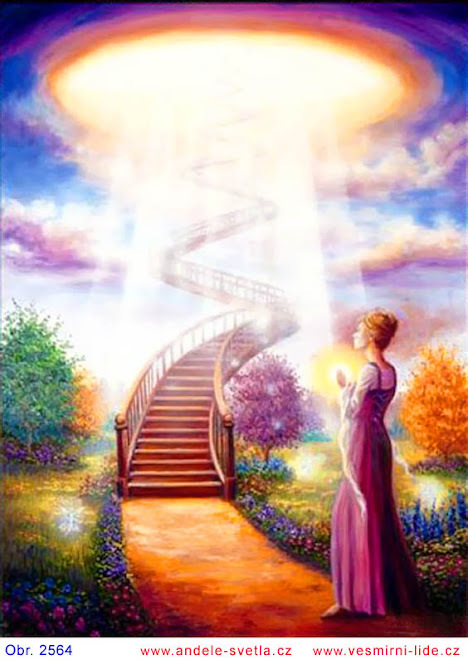 Blessed are those who have chosen paths where they have Lighted kundalini or Near Death experiences that shifts them instantaneously and permanently. For most of us, dying to our little selves occurs through awareness of the moment-by-moment choice to anchor in our inner God or our egos. Choosing to incarnate here and now meant that we automatically chose to be overlaid by the reptilian-ego mind also. Making us either very wondrous souls or absolute masochists :-). Obviously we are the former. The very fact we’re still standing, striving and desiring to live God’s Will in service to our brothers and sisters is proof of that. Perhaps all of our lives – besides being steps closer to our physical deaths – are also continuous choices towards our ego death. And thus we might experience momentary bursts of real Self, like some of mine above. During the past few weeks the birth-and-death theme has been pretty present and poignant for me in my world. Including physically. I’m blessed to live in a beautiful valley called Noordhoek (translated: ‘North Corner’). It was semi-rural when I arrived 19 years ago . Now it’s more outer city suburban in nature. One-time beautiful sunsets from my patio across bush have been slowly replaced with housing developments. And I miss one of the bush’s residents, the Cape Barn Owl, and it’s soothing night time hoots. Other nearby neighbours were approximately 40 year old huge gumtrees on a road behind mine which I walk up often to catch public transport. Those trees fringed a caravan park with many types of dwellings in it. The park also housed hundreds of many-coloured rabbits and families of guinea fowl and others birds that made the trees their home. The rabbits often used to come and chat when they spotted me. Around two weeks ago I walked up the road to the sound of sawing and buzzing far from that location, realising as I got closer that I was in the middle of a massacre of the beautiful standing people. These huge beautiful beings were being murdered in quick succession. I ran down that road with uncontrollable tears that I couldn’t stop. And which have just begun again as I relive that day. A week before, as usual, I spoke to and touched the trees in passing, blessing and admiring them. I also told them – due to some smaller trees being felled further up the road – they should prepare to have their lives taken from them. I’ve seen a couple of escapee rabbits since the massacre, but the majority were apparently moved to a nearby sanctuary. I still grieve the loss of the trees when I walk up that road now. So death does seem a prevalent theme for me right now. But so does [re?]birth. A few days after the tree massacre I went visiting at the nearby Ocean View Rastafarian community. 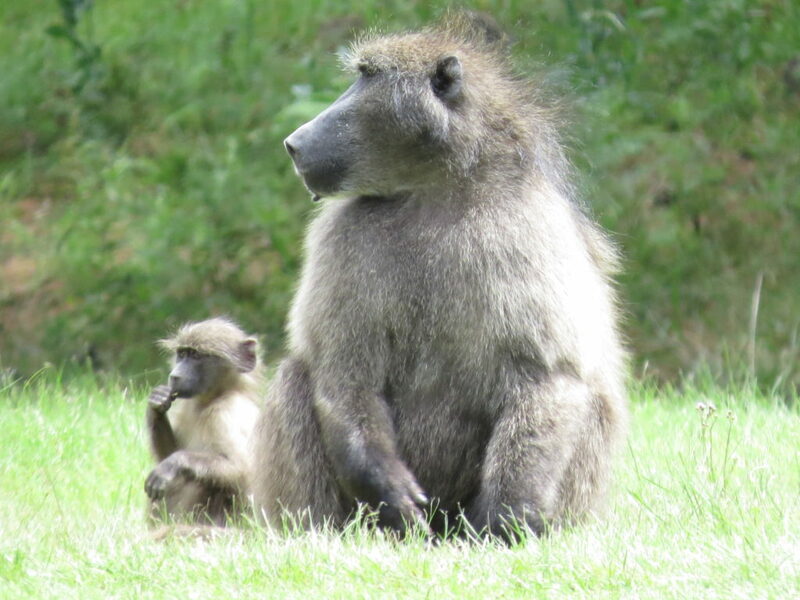 And there, to counteract my tree heartbreak were a troop of Cape Chacma baboons and their recently-born tiny babies, feeding herbivorously on the lower mountain slopes. It’s truly amazing how adaptable and compassionate other species are when confronted with their mortal enemy – man. I was chatting to the nearby baboon monitors, employed to protect them and the humans they may get too close to. There are less than 20 troops of baboons in this part of the Cape and their human monitors follow them closely, firing paintball guns in the air to signal danger to the baboons. Such as getting too close to houses even though the baboons were here first. Ironically, the real aggressor is the human being which the monitors have to protect the baboons from too. Especially here in Ocean View. The vast majority of Ocean View’s adults are unemployed – many being drug or alcohol addicted. The impoverished kids here are a generation of such hurt, abused, neglected and unloved children that the only ‘language’ they know is internal or external pain. During the couple of hours I was viewing the baboons, a huge amount of kids gathered nearby. Not to watch or appreciate the baboon babies and their families cavorting – but to throw rocks at these animals in the hopes of hurting them. Some of the older kids dare each other to get closer so an adult baboon chases the kid. That’s a serious thrill for these children. So while it was wonderful viewing the baboons feeding in their natural habitat, it was also incredibly stressful for me due to the children. I just thank God the baboons have help and I call on the invisible guardians of the baboons to continue to protect them and their newly-born. The wisdom, love and understanding of these animals is palpable. They could have justifiably, at any time, collectively turned against these children and then…who knows what the outcome may have been. Yet, despite such an inharmonious environment, they still come down daily to feed and, for the most part, survive the ordeal. So yes, my inner and outer worlds have been filled to overflowing with the birth and death theme in many ways recently. Another very strange inner sensation related to the subject is the following: it almost feels as if the past 20 years of my life is being erased as if it never was. All those experiences, dreams I conjured up and living I did with other people, feel increasingly as if IT was the dream. And now I wake or am in the [re]birthing process. That’s the current aspect. Then it also feels as if the same is happening at the multidimensional higher level of me. That all the many lives I’ve lived between now and the Essene one from the Yeshua period are also being erased, of sorts. It’s as if none of my lives, save that one, even existed. As if time across the centuries and millennia is ‘closing up’ and coming full circle and I can only return to that specific life, or have it returned to me. Dissolving into that aspect feels critically important. And so I can do nothing else except die to it, her, my true Self. And, while I'm not wishing myself removed from this body, the entire subject of death holds some great allure for me at this time, I have to admit. Mainly because the death of the little self and the total and permanent dissolving of that identity is probably the only dream I have now and the only one I truly desire. I may just take myself off to the local Death Cafe meetings shortly, so as to express it all with others of like mind. Bless each and every one of you with the pure Love and Light of Source!